Ranthambore Fort, as the name suggests is, a fortified structure, built on a great elevation such that it provides an eagle eye view of the entire Ranthambore Forest, in the middle of which it stands, tall and resolute, the central reference and view point to massive stretch of the Ranthambore Wildlife Park. 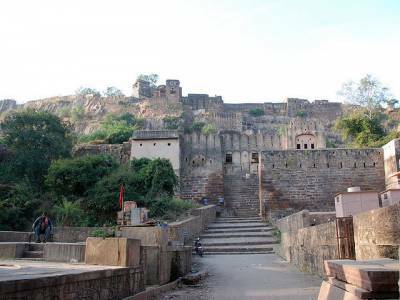 Like all Forts in Rajasthan, it is built on a small hillock, with the fortress walls stretching across the ledges of the ridge on the hills. 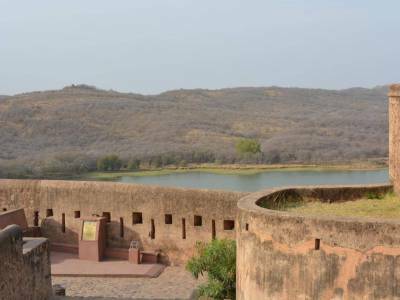 Ranthambore is centrifugal to the historical timeline of development of Rajasthan and its numerous hill forts. Designated a UNESCO World Heritage Site, the fort has been a silent witness to changing times right from the time when it used to be fortress for the Maharajas to relax and scout for prospective preys in the hunting grounds of the Ranthambore Forest to the present times when it has been restored as tourists attraction is the Ranthambore National Wildlife Park. 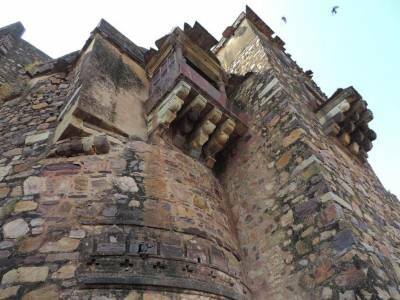 The fort is a standing witness to tales and lores of the valour of Chauhan kings under whose reign this fort was built. 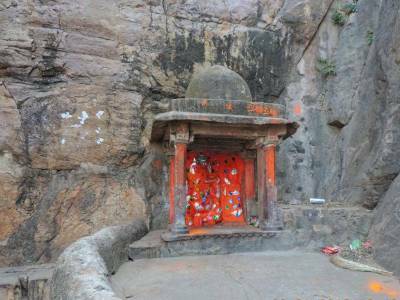 It bears legacy to the gallantry of the famous Prithviraj Chauhan of the Chauhan dynasty. His military achievements form a major chunk of history of that time but despite providing stiff resistance to foreign invasions from the Muslim rulers repeatedly, he finally succumbed to an invasion by Mohammed Ghori of the Ghurid dynasty which marked the onset of the inevitable Mughal dynasty in India. Ranthambore Fort still houses some artefacts and monuments from a bygone era, including a 12th century temple dedicated to Hindu deities Ganesha & Shiva made from red stone as well as Jain shrine dedicated to a Tirthankara as an indication of different rules who claimed possession of the fort after annexing it. Other attractions nearby are water gateways and reservoirs, such as Malik Talao which often serve as picnic spots for contemporary masses. 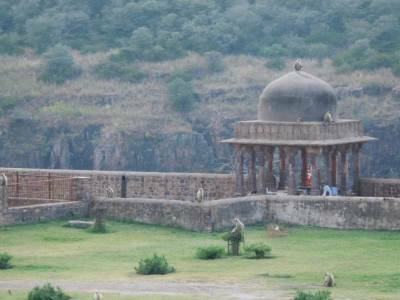 Get quick answers from travelers who visit to Ranthambore Fort.